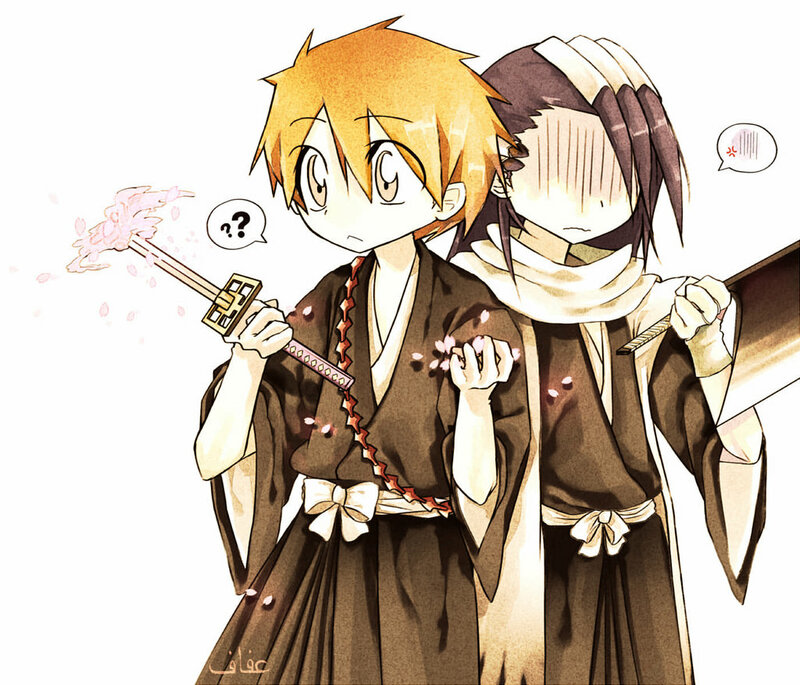 Have you imagined what it would be like if both Ichigo and Byakuya swapped their Zanpakuto’s with one another? Well, this image shows the awkward moment when they do, as Ichigo looks at the flowers of Senbonzakura while Byakuya looks a little depressed when using Ichigo’s Zangetsu. Although strong, both have no idea how to use their abilities. This fantastic artwork of Byakuya and Ichigo was done by peachimi who has done a number of fantastic artwork, especially Bleach. 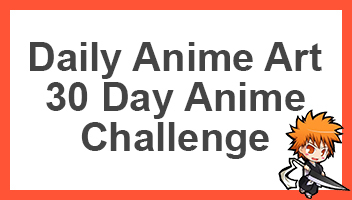 If you like this, they have a bunch of chibi stuff too, thus check them out. otherwise go ahead and share this page with other fans of Bleach, Ichigo and Byakuya. Hah! this is pretty funny. Peachimi’s style is very cute, too. Byakuya looks so pissed that he got a crude looking Zanpakuto, while Ichigo just looks confused that he got a Zanpakuto made of flowers. Haha yeah I think he’s kinda pissed off.